It was the last place and he was the last person youâ€™d associate with death. In the middle of the day, on a gentle beginner slope at the generally gentle Tahoe area ski resort of Northstar, a skilled ski instructor wearing a helmet and all his safety equipment died. What apparently happened was this. To avoid a snowboarder who had lost control on an icy patch, the 35-year-old instructor veered off the groomed slope and skied into the woods. There, his skis may have hit a snow-covered rock, and he was tossed into a ditch. Despite the life-saving efforts of first responders, he succumbed to his injuries where he lay. The instructor was Dennis Baltimore, only child of grieving parents, father of a 6-month-old daughter named Zoe, loving partner of Jillian Torrez. One person was killed Thursday night when a tree fell onto her car on southbound California 89. At around 6:20 p.m., the tree fell on a Subaru that was traveling just north of the Squaw Valley intersection, Officer Pete Mann with the California Highway Patrol said. The driver of the Subaru, a 43-year-old woman from Tahoe City, was killed. The woman was identified as Emmanuelle Delavoye. According to a CHP-Truckee Press Release, a Tahoe City, CA woman was killed after a tree fell on her Subaru while in slow-moving traffic Thursday evening. A 43-year-old woman, whoâ€™s name has yet to be released, was traveling southbound on Highway 89, just north of the Squaw Valley, when a tree fell and struck her car. The tree also struck a nearby Cadillac Escalade, but the man inside was able to escape uninjured. Another tree fell nearby around the same time and struck a Tesla, while the driver of the car was out attempting to help the woman driving the Subaru. Thankfully, no one was injured in the Tesla, despite the fact that an entire family was in the vehicle. Wednesday morning, another tree had fallen in the same area. The cause of the fallen trees is suspected to be highly saturated soil and heavy snow sitting on the trees. Highway 89 was closed for cleanup, but was opened up shortly after the incident occurred. The cause of the womanâ€™s death is suspected to be trauma, but an autopsy will be performed to confirm hat suspicion. A ear nose throat Doc from Santa Cruz skis a closed area prone to avalanche after heavy snows. He dies because he makes an avalanche on himself ... hmmm ... He was 64 and ? APTOS â€“ An Aptos doctor died Saturday in a large avalanche while skiing a closed area of Mount Rose Ski Tahoe resort in Washoe County, Nevada. Autopsy results are pending for Thomas Vincent Barker, 64, an ear, nose and throat doctor who went missing while skiing with another man at Jackpot Chute, a steep slope, at the resort, Washoe County Sheriffâ€™s Office spokesman Bob Harmon said. A call for assistance was made about Barkerâ€™s situation at 10 a.m. Saturday. â€œThere was a blizzard, white-out conditions and there was concern about the potential for more avalanche danger,â€� Harmon said. Volatile weather delayed search parties from multiple agencies Saturday and Barkerâ€™s body, which was buried under 5 to 10 feet of snow, was found about 1 p.m. Sunday, he said. The Sierra Avalanche Center released a report on the slide, which was 350 feet wide and descended 1,000 feet. The closed area has not been controlled this season, according to the report. Another man was skiing with Barker. The other skier, whose name was not released by the Washoe County Sheriffâ€™s Office, called 911. OLYMPIC VALLEY, Calif. â€” A 62-year-old local woman died in a skiing accident Saturday, Feb. 27, at Squaw Valley resort. On Monday, Feb. 29, Placer County Deputy Coroner Dennis H. Watt identified the woman as Elizabeth S. Danel, of Olympic Valley. According to a statement provided Monday by Squaw Valley, Danel was skiing in the Headwall area at about 1:35 p.m. when she fell and slid down the slope through a stand of trees, suffering multiple injuries. â€œThe guest was wearing a helmet at the time of the incident, and was unconscious and unresponsive when ski patrol arrived on scene, at which time CPR was immediately administered,â€� according to the resort. A mother of four killed in a skiing accident at Squaw Valley Resort lived for three decades in Belvedere Islandâ€™s iconic â€œPink Houseâ€� and died doing what she loved, her daughter said. Elizabeth Danel, 62, a semiretired architect and developer, was on the slopes with her 31-year-old daughter when she suffered a fatal fall Saturday. Danelâ€™s daughter also said her mother lived in the iconic â€œPink Houseâ€� on Belvedere Island for 30 years before she put the 8,000-square-foot waterfront home on the market in 2012 and eventually sold it. The 1912 Mission Revival home was sold for $7.9 million, according to real estates sites. After first coming to market in 2012 for $11.75 million, Belvedereâ€™s â€œPink Houseâ€� has finally sold for $7.9 million. According to SocketSite, the seven-bedroom, nearly 8,000-square-foot home with amazing views of the San Francisco skyline and the Golden Gate Bridge had been renting for $17,500 a month early last year. She was just 14 ,., What are people thinking? A 14-year-old girl has died after a skiing accident at the Heavenly resort on Lake Tahoe's south shore. El Dorado County sheriff's deputies say Emily Clothier, a freshman at South Tahoe High School, apparently hit a tree while making a run. She veered off the Stagecoach Trail and into a wooded area on the resort's Nevada side, where she suffered multiple head and abdominal injuries. She was airlifted to Barton Memorial Hospital, where she was pronounced dead. Deputies say she was wearing a helmet and was training with the Heavenly Ski and Snowboard Foundation. She was found by her coach, who was skiing about one minute behind her. Clothier, a competitive ski racer, helped her school's ski team to a second-place finish in the Nevada Interscholastic Activities Association Skiing Championships earlier this month at the nearby Mount Rose resort. How many people die in skiing/snowboarding accidents at Tahoe each year? California ski resorts are not required to report skier/snowboarder deaths, so there are no official figures on the Tahoe area specifically. The National Ski Areas Association (NSAA) keeps track of deaths at its member ski resorts, but doesn't release individual state statistics because of the high variance in deaths per year. Nationally, however, the NSAA reports that an average of 39 people have died per year at US ski resorts between 2004-2014  . Anecdotally, from news reports, there seem to have been at least 3 Tahoe ski deaths in both the 2012-2013 season  and the 2013-2014 season  . PLACER COUNTY â€” A Belmont father of two was killed in a ski accident Friday after hitting a tree on the final run of his Valentineâ€™s Day ski trip in Lake Tahoe, authorities said. 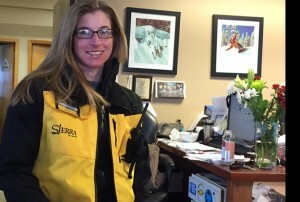 Lindsey Van Why, a 43-year-old safety engineer at Milpitas-based XL Construction, was skiing with a friend at the Northstar California ski resort when he was killed during the last run of the day down the Cascades Trail, Placer County sheriffâ€™s spokeswoman Dena Erwin said. His friend, who had skied ahead down the intermediate run, reported Van Why missing to resort officials after he failed to make it down the trail within a reasonable amount of time. Van Whyâ€™s death was the second in three days at Placer County ski resorts, following the Feb. 12 death of 18-year-old Santos Constantine Martins Bezerra, a seasonal resort employee on a work visa from Brazil. A snowshoer happened upon Bezerraâ€™s body Feb. 13 at Sugarbowl, the lift ticket on his jacket suggesting he had been there since the day before. â€œThereâ€™s nothing we can do to bring (Philip) back. If anything, continuing on for him and saving someone else and possibly preventing this from happening again â€“ thatâ€™s why we do this,â€� Steve Walker told Lake Tahoe News from his San Jose home. â€œTree wells are dangerous, even for an intermediate skier or snowboarder like Philip,â€� Walker said. It is of with sadness for Unofficial to report two Tahoe area deaths that occurred this weekend. â€“ Ski accident occurred on Thursday. â€“ Injury on the East Ridge trail located in the Mt. Pluto area. â€“ Died as a result of his injuries, was wearing a helmet at the time of his injury, according to Northstar. â€“ Few details are known as to the exact cause of death. No one witnessed the accident, and Fritz â€œmost likelyâ€� struck a tree. â€“ Fell head first into deep snow and could not dig himself out. Sonny Bono became a congressman and learned something he shouldn't have and he was killed by thugs to silence him. SONNY Bono, former husband and singing partner of superstar Cher, was clubbed to death by hitmen on the orders of drug and weapons dealers who feared he was going to expose them, a former FBI agent claims. Ted Gunderson, now a private investigator, has told the US Globe tabloid that Bono, who served as mayor of Palm Springs for four years, did not die after hitting a tree on a Nevada ski slope in January 1998 as everyone believed. "It's nonsense for anyone to now try to suggest that Bono died after crashing into a tree. There's zero evidence in this autopsy report... to show such an accident happened. Instead, there's powerful proof he was assassinated. "This was an evil plot that was carried out to almost perfection by ruthless assassins," Mr Gunderson told the paper. The former agent, who has been researching Bono's accident for the past decade, said top officials linked to an international drug and weapons ring feared the singer-turned-politician was about to expose their crimes - so they had him killed on the slopes. Bono, an experienced skiier, was ambushed on the slopes by hired hitmen, who beat him to death and then staged a tree collision, Mr Gunderson said. He called for authorities to dig up Bono's remains and open a homicide investigation. His claims have reportedly been backed by top forensics experts who fear Nevada authorities were too quick to call the death a skiing accident. Investigator Bob Fletcher had also confessed he sent evidence of a 10-year study that linked top US government officials to arms and weapons dealers to Bono less than a month before his death, the Globe reported. "(Bono) was going to make it his No.1 priority... There's no doubt in my mind Sonny was murdered by someone who needed him silenced," Mr Fletcher told the paper. SOUTH LAKE TAHOE, California (CNN) -- Congressman Sonny Bono, who first stepped into the spotlight as half of the singing duo Sonny and Cher, was killed Monday in a skiing accident, authorities said early Tuesday. He was 62. Bono, an avid skier, was reported missing about 4:30 p.m. at Heavenly Ski Resort in South Lake Tahoe, California. The resort is about 55 miles (88 km) southwest of Reno, Nevada, on the California-Nevada state line. A ski patrol searched the Nevada side of the mountain and found the body some two hours later. Lt. Ross Chichester said the preliminary investigation indicates that it was an accident. He added that the cause of death has not been determined, pending an autopsy. The main lodge manager at Heavenly Ski Resort, Stan Miller, told The Associated Press that Bono was skiing alone at the top of the Orion slope when he crossed beneath a chairlift and hit a tree. The resort said that Bono had been a frequent skier at the slope for more than 20 years. Bono was on a vacation with his wife, Mary Whitaker, and their two children, 6-year-old Chianna and 9-year-old Chesare, when the accident happened. "They were enjoying a family vacation," his spokesman Frank Cullen Jr. said Tuesday. "He was a very proficient skier. He skied frequently with his family and, yes, he was an athletic guy -- he skied and played tennis." Bono was first elected to Congress in 1994 as a Republican from Palm Springs, where he was mayor from 1988-92. At one point after taking office, he was the second-most requested draw at members' events behind House Speaker Newt Gingrich. "People have said to me, 'You can't write songs. You can't play an instrument.' But I've got 10 gold records. I can do this job," Bono once said of his political duties. Bono worked as a singer, songwriter and television performer from 1957 to 1982. He was perhaps best known as the straight man to Cher on "The Sonny and Cher Show" on CBS-TV in the early 1970s. Their first big pop tune, "I Got You Babe," was a number one hit in 1965. During his showbiz days, Bono always portrayed himself as a worse singer than Cher and the object of her putdowns -- an image he sometimes carried over onto the House floor. "I feel kind of like the black sheep in Congress, but here I am," he once said. Beneath his squeaky voice and sheepish grin, Bono possessed an atypically candid style. When asked to talk about illegal immigration, he once replied, "What's to talk about? It's illegal." Bono worked to get federal aid to preserve the habitats of various endangered species in Riverside County, California. But when the Endangered Species Act required millions from local government and property owners to protect Stephens' Kangaroo rat in Riverside, he said, "We all love the environment, but we have placed creatures above people. A rat is a rat." Bono was born February 16, 1935, in Detroit, Michigan, to a first generation Sicilian-American family and moved to the Los Angeles area when he was 7 years old. Bono married Cher in 1963. They divorced in 1974 and had one child, Chastity, who is now a lesbian activist. He married Whitaker in 1986. In addition to his two children with her, Bono is also survived by another daughter, Christy, from another marriage. In the freeskiing world, for the Squaw Valley community that I live in, it feels as though we're driving that Porsche right now. For the past couple of years, we seem to have been trapped in a vortex of misfortune -- we keep losing our people, one tragic accident at a time. Randy Davis, a local up-and-coming freestyle skier, was killed at Squaw in an inbounds avalanche on Christmas in 2008. We lost longtime Squaw legend Shane McConkey to a ski BASE accident in Italy in 2009. 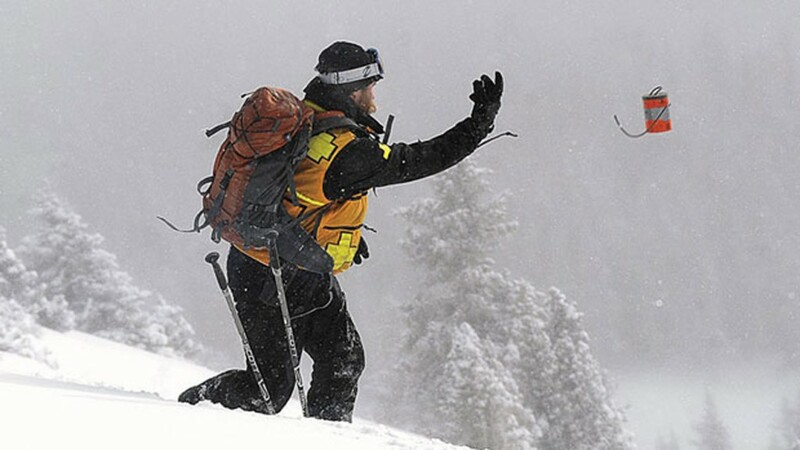 Andrew Entin, a much-loved career ski patroller, died while conducting avalanche control at Squaw in 2009. Then CR Johnson died in an inbounds crash at Squaw Valley in 2010. Squaw's Arne Backstrom died in a ski mountaineering fall in Peru in 2010. And then, a couple of weeks ago, locals Kip Garre and Allison Kreutzen were killed by a backcountry avalanche in the southern Sierra Nevada mountains. Of course, the greater freeskiing community suffered tragedies during the past few years as well -- we lost pro skiers Billy Poole, Jack Hannan, John Nicoletta, Ryan Hawks and countless other skiers. But the sheer number of deaths from Squaw seemed to be heart-wrenchingly high. We couldn't help but think it: Is the Squaw community cursed? At this point, our tenets of faith -- karma, justice, providence -- have been torn down. We question everything. How can it be that our heroes, friends and family are being ripped away from the Squaw Valley community so methodically? Squaw Valley suffered a loss of one of their own Wednesday. Alpine skier C.R. Johnson died after going off of a cliff on the difficult chutes of Light Towers. Squaw Valley said Johnson went face first over his skis and onto his head in a rocky area, adding he was wearing a helmet. A member of the Squaw Valley ski patrol told a Reno newspaper Johnson was skiing with friends and trying to move through what he described as a very very tight rocky area. The bodies of three young women were found in their car near the Squaw Valley USA ski resort on Monday. Preliminary investigation indicates that snow from Monday's heavy storm may have blocked the vehicle's tailpipe, causing carbon monoxide to enter the passenger compartment of the car. It appears the three women had been sleeping in the car and had been there overnight, according to police. The victims were identified as Lacey Louann Sutton, 22, of Marysville, Sara Alice McCullah, 21, of Marysville, and a 17-year-old juvenile female from Loma Rica .They were found by a Squaw Valley security guard in a parking lot near the resort. The mother of Sara McCullah says her daughter and Lacey Sutton had moved to the area to find work at the resort. Dona Sorensen has some unanswered questions about the circumstances surrounding her 71-year-old husband Theodore Sorensonâ€™s death Friday after a ski crash at Squaw Valley, but thereâ€™s one thing sheâ€™s knows for certain. What she doesnâ€™t know, however, is why the lift was running in those conditions, or why he was skiing on its runs at that time, she said. Her husband was an â€œexpert,â€� â€œcautiousâ€� skier and he had taken that particular lift â€œthousands of times,â€� she said. He collided with a tree on the west face of KT-22 about 11 a.m. Friday and had been wearing a helmet, according to a Squaw Valley press release. The KT-22 lift features advanced runs and one intermediate-advanced way down. Sorensen had been skiing in a closed area that had been roped off by ski patrol, said Andy Wirth, Squaw Valley CEO, adding that he wouldnâ€™t characterize conditions as bad that day. Itâ€™s not the only tragedy the Squaw Valley-Alpine Meadows resort family is coping with. On Christmas, longtime Alpine Meadows ski patroller Bill Foster died after being caught in an avalanche on Monday, according to a press release from the resort. At least three avalanches have been reported that have swept up skiers and snowboarders â€“ two resulting in deaths. Foster had been part of a team of patrollers performing â€œroutine snow safetyâ€� at the Sherwood Bowl area that was closed to the public during the time of the incident that was triggered by an explosive charge thrown by a senior member of the team, the release said. The team members had been positioned in what they believed to be a protected area based on past experience, it said. On Monday, a 49-year-old from Hirschdale died while snowboarding at Donner Ski Ranch after getting buried under 2 to 3 feet of snow from an avalanche, the Associated Press reported. Sunday, three snowboarders triggered an avalanche on a portion of the KT-22 peak that hospitalized two skiers, one which was treated for a shoulder injury and the other was released, according to Squaw Valleyâ€™s statement. Sorensen never skied alone and had been with a friend at the time, â€œsome guy weâ€™re waiting to talk to,â€� Dona Sorensen said. Sorensen had been a ski instructor at Sugar Bowl for several years and a former San Jose firefighter of 30 years, so safety was something he not only taught others but took to heart himself, she said. Bono died on January 5, 1998, of injuries sustained when he hit a tree while skiing on the Nevada side of Heavenly Ski Resort near South Lake Tahoe, California. His death came just a little less than a week after Michael Kennedy, a son of Robert F. Kennedy, died in a similar skiing accident in Aspen, Colorado. After Bono's death, Mary Bono told an interviewer from TV Guide that Sonny had been addicted to prescription drugs, mainly Vicodin and Valium. Though Mary claimed that Sonny's drug use caused the accident, the autopsy performed by the Douglas County Coroner showed no indication of any substances or alcohol. Bono, an experienced skier, was on the Nevada side when his â€œaccidentâ€� took place. Over the years there have been reports that punch holes in the official story. â€œItâ€™s nonsense for anyone to now try to suggest that Bono died after crashing into a tree,â€� Gunderson said in an a piece posted in Australiaâ€™s Daily Telegraph newspaper on April 4, 2008. But who would want to harm Sonny Bono? In a report posted on April 6, 2008 at DCDave.com and titled â€œThe Cover-up of Sonny Bonoâ€™s Murder,â€� writer David Martin lambastes the American press for failing to report the huge discrepancies surrounding Bonoâ€™s death. Martin writes that Bono had been approached by an investigator named Bob Fletcher and had approached Congressman Bono about â€œthe activities of high-ranking U.S. military and government officials he claims were raking in millions from arms and drug deals in Central America and Southeast Asia. Other injuries detailed in the document included a black eye, swollen lips, bloody nose, bruised jaw, and two upper teeth knocked out, all on the right side of the head. But the pathologist also noted a series of small fractures in a "central depressed region" on the right side of Bono's skull and found "some of the fractured bone pieces have a curved configuration." Fletcher consulted a panel of experts and performed a re-creation to determine how these wounds were caused. He concludes the depressed area was due to blows from a rounded-edged weapon wielded by a man taller than the 5-foot-nine, 165-pound politician and the killer was left-handed since the wounds are on the right side of Bono's face and head. He also believes there was a second man who held Bono from behind. Fletcher thinks the murder weapon was a pistol, but other experts tell Globe that a gun barrel would have left distinguishable marks. "Sonny was ambushed and viciously battered to death with a billy club or similar weapon," ex-FBI man Gunderson says. "The killers staged the crime scene and made it look like a tragic ski-accident." According to a sheriffâ€™s office release, Kathryn Strangman, 77, of Madison, Wisconsin, died from injuries sustained after hitting a tree Tuesday morning. The accident reportedly occurred at the intersection of Crossover and Comet ski runs, high on the Nevada side of the ski resort. Both runs are intermediate-level blue slopes. Emergency responders arrived on scene at Heavenlyâ€™s Boulder Lodge base area, on the Nevada side of the resort, around noon. Heavenly ski patrol was first to respond at the site of the accident higher on the mountain. Patrollers attempted lifesaving treatment following the incident. According to the departmentâ€™s press release, an autopsy is scheduled along with an investigation into the incident. ADISON - Kathryn Ann "Kay" Strangman was born Oct. 13, 1938, in Elmhurst, Ill., the oldest daughter of Frank and Anna Besic. She graduated from York High School, Elmhurst, Ill., in 1956 near the top of her class. She graduated from the University of Wisconsin-Madison in January 1960, with a double major in Mathematics and Math Education. During her career she taught Math at every level from junior high to the University level. In 1964, while teaching at her high school alma mater, she earned a master's degree in Mathematics from Illinois Institute of Technology and then began teaching at the college level, first at Elmhurst College, Elmhurst, Ill., and then at Edgewood College, Madison. She ended her teaching career at UW-Madison, retiring as a Senior Lecturer Emerita in 2002. In addition to her classroom teaching she loved working with individual students and tutored many high school students in her home. In the early 1980's she started her own consulting business and taught many members of the Madison community how to use personal computers in their homes and businesses. In addition to her talents as a teacher and musician she was an athlete and lover of the outdoors. She won numerous medals in competitive table tennis as a teenager in the Chicago area. She was an avid downhill skier. At age 35 she took up ice dancing. She loved to hike, bike, waterski, swim and garden. Her family was very important to her and much of her activity involved being with family pursuing one or another of these outdoor activities. She died Feb. 16, 2016, while skiing with her family at Lake Tahoe, Calif.
TAHOE CITY, Calif. â€“ A 22-year-old woman was killed Saturday afternoon in a snowboard accident at Granlibakken Resort, officials have confirmed. Rahsheka Keith, a resident of Oakland, Calif., died after crashing into a lift tower at the North Shore ski resort, said Capt. Jeff Ausnow of the Placer County Sheriffâ€™s Office, in a Monday phone interview. The cause of death appears to be blunt force trauma, Ausnow said, but the official cause will not be known until an autopsy is performed this week in Auburn, Calif., at Placer sheriffâ€™s headquarters. The accident occurred when Keith used her snowboard as a sled, sitting upon the board with her feet unattached to the bindings, Ausnow said. At some point, Keith became turned around, facing uphill, with her back turned toward the bottom of the hill. She then crashed into a lift tower pole. Keith was not wearing a helmet, Ausnow said. Keith attended the University of California, Santa Cruz, where she was involved in Rainbow Theater â€“ a university sponsored theater troupe that emphasizes, through performance, a higher visibility and understanding of various cultures within the community. Parsons said the fatality is the first at the resort since he began working there in 1978. It is also the third death this winter at a Lake Tahoe ski resort. Just last Wednesday, Jan. 19, Galena High School sophomore Maison T. Ortiz, 15, died after crashing into a tree while walking down a slick mountainside at Mt. Rose Ski Tahoe. On Thursday, Dec. 30, search and rescue crews found the dead body of Shawnte Marie Willis, 25, of Tahoma, in a backcountry area southwest of Alpine Meadows Ski Resort. She had been reported missing two days prior. Authorities said she crashed into a tree while snowboarding. Granlibakken, located near Tahoe City, is a relatively small resort compared to some of the giant ski areas in Lake Tahoe, with just 10 acres of downhill terrain. It is geared toward beginner and intermediate skiers and snowboarders, and sledding is popular there. Twelve snowboarders have died on the slopes over the past month in the Western United States, including three at Tahoe and two others in California, causing many in the ski and snowboarding industry to reconsider policies regarding off-course trails and signage. Of the deaths, all but one occurred when snowboarders ventured off designated runs at resorts or on jumps, most often careening over moguls through forest, known as â€œshooting the trees.â€� All but one of the 12 deaths involved snowboarders ages 15 to 29. Tahoe: At the small Granlibakken Resort near Tahoe City, a snowboarder, 22, was killed when she hit the support pole for a lift tower. Mount Rose: At the ski area near Reno, a snowboarder, 15, was killed when he hit a tree. Alpine Meadows: At the North Tahoe resort during the Christmas-New Yearâ€™s holiday, a snowboarder, 25, was found dead in a tree well in wilderness off course. Squaw Valley officials are now saying ski patrol member Joe Zuiches died after the detonation of an explosive charge during avalanche control activities. ALPINE MEADOWS (CBS13) â€“ A skier has died at Alpine Meadows Ski Resort today. Jeffrey R. Pearlstein, 33, of Kings Beach, was skiing on a steep run in the Keyhole area around 11 a.m. when he apparently lost control and crashed. Ski patrol, North Tahoe Fire, and Placer County Sheriffâ€™s Office personnel responded to his location and tried lifesaving procedures on Pearlstein, but he was pronounced dead at the scene, according to a statement from the Placer County Sheriffâ€™s Office. Deputies urge skiers to wear a helmet, ski within their skill level, and ski with a buddy. Authorities havenâ€™t said if any of these factors contributed to Pearlsteinâ€™s death. A Kings Beach man died in a skiing accident at Alpine Meadows today. Jeffrey R. Pearlstein, 33, was skiing in an area called Keyhole at 11 a.m. He was on a very steep run and lost control. Ski patrol, North Tahoe Fire, and PCSO deputies responded, CPR was initiated, but unfortunately he was pronounced at the scene. Skiing is inherently dangerous, and we would like to remind late-season skiers to wear a helmet, ski with a buddy, and ski within your skill level.